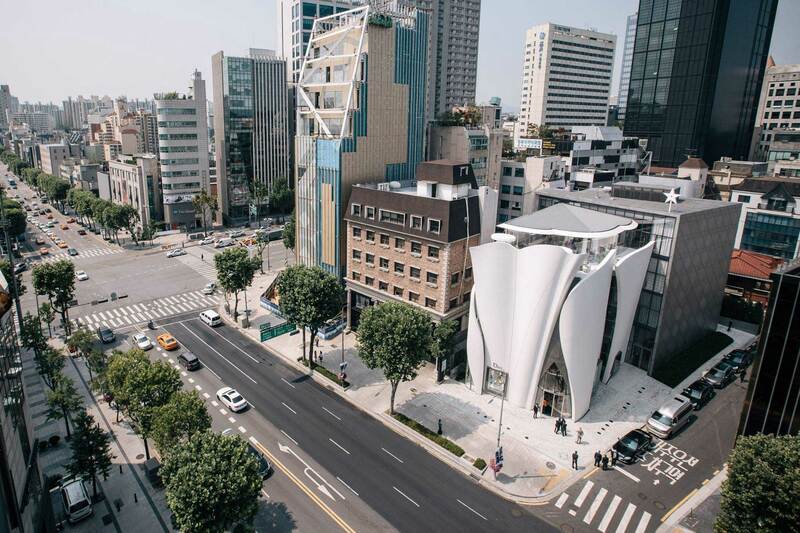 Inside The House of Dior in Seoul, South Korea. 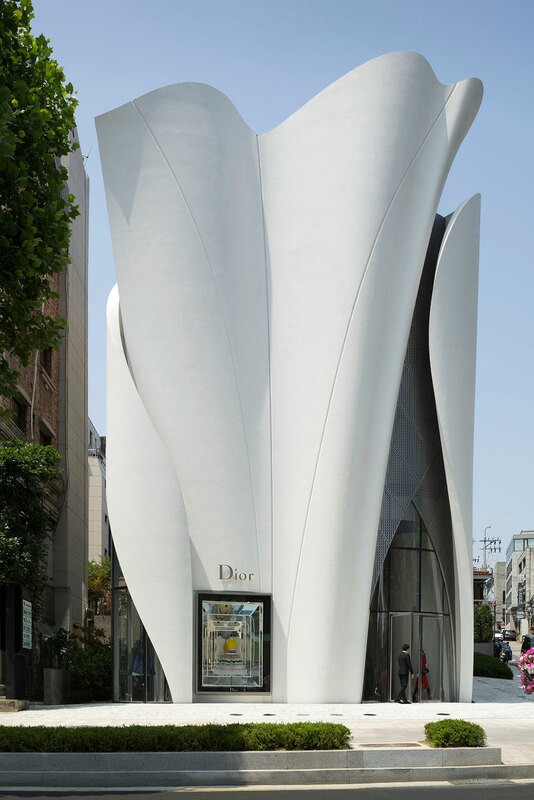 House of Dior in Seoul, South Korea is one deliciously curvalicious building. 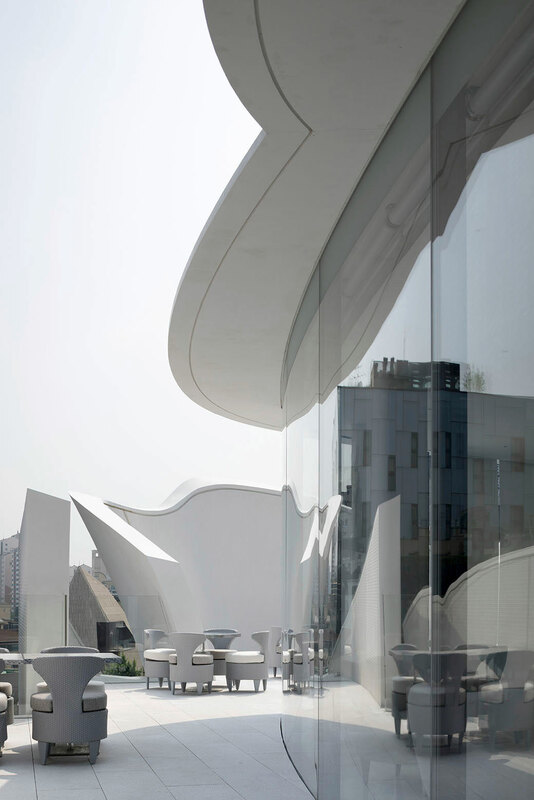 Alive with delicate movement, vitality and striking monumentality; this resplendent boutique is the work of Pritzker Prize winner Christian De Portzamparc. 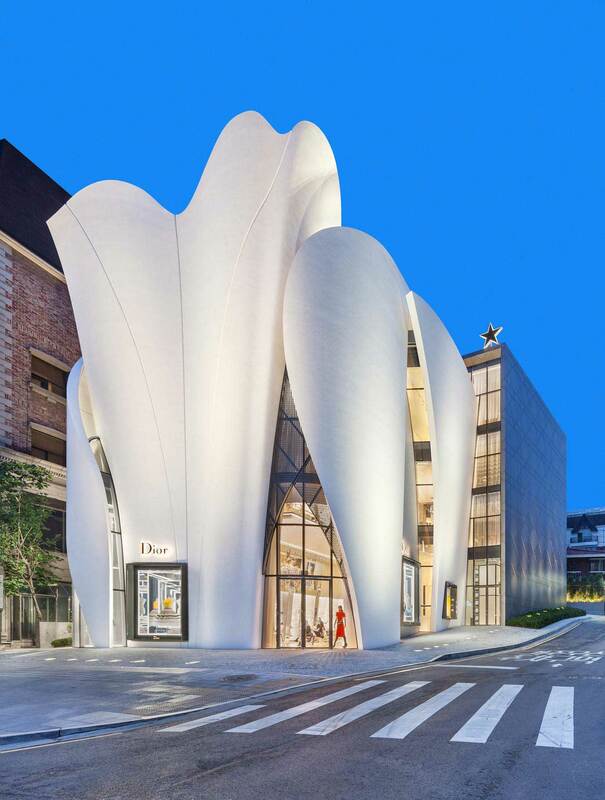 The six-story building houses Dior’s accessories, fine jewellery, watches and clothing as well as a VIP lounge, gallery and cafe operated by Pierre Hermé. I don’t know about you Yellowtracers but I am totally out of my comfort zone here. 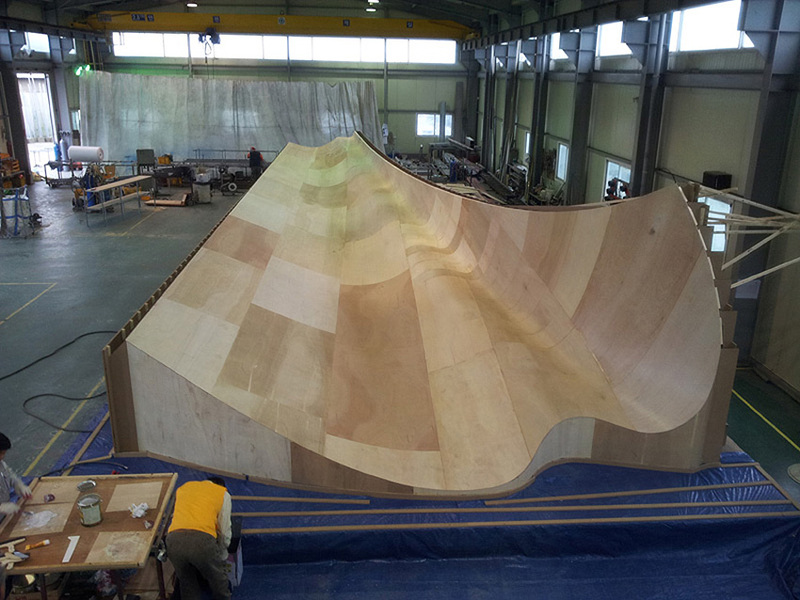 The design may be over-the-top and completely outrageous but in this instance it’s fun to indulge in something as wild as this. 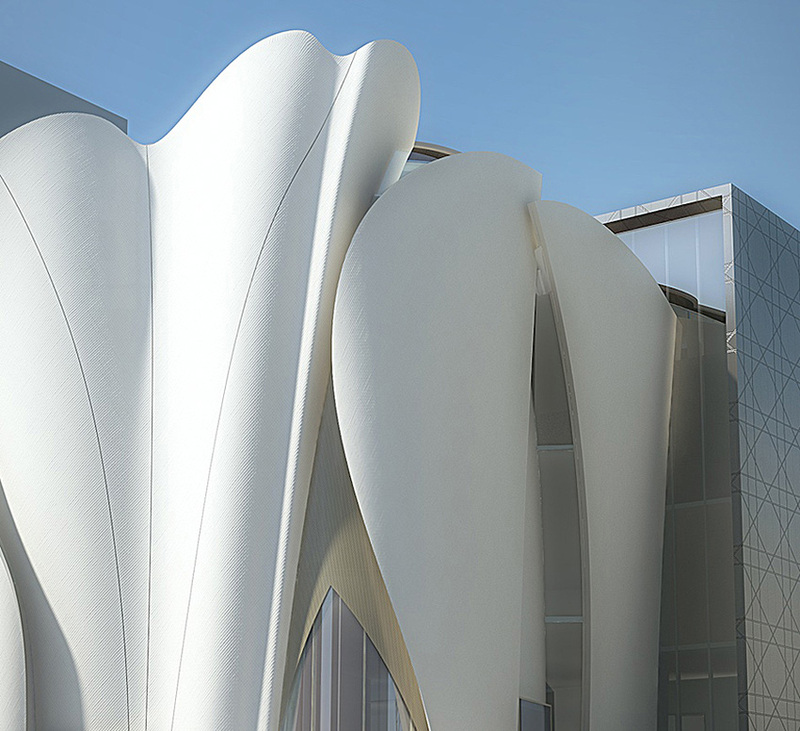 Fashion constantly pushes the boundaries and this building is full of surprises – it’s as if it were a Dior gift begging to be unwrapped. 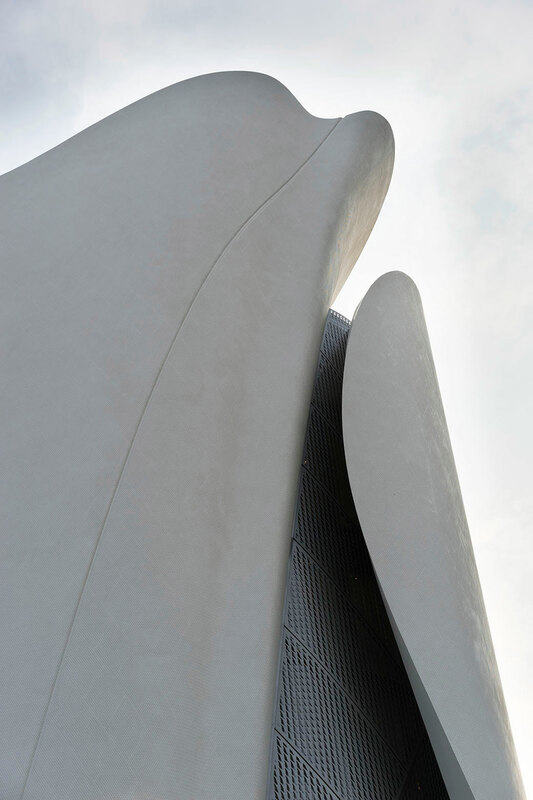 The building composition is made up of two opposing forms; one feminine and one masculine and the dichotomy is stark. The feminine half is embodied by the asymmetrical draping form with delicate folds that appear to rise from the earth. 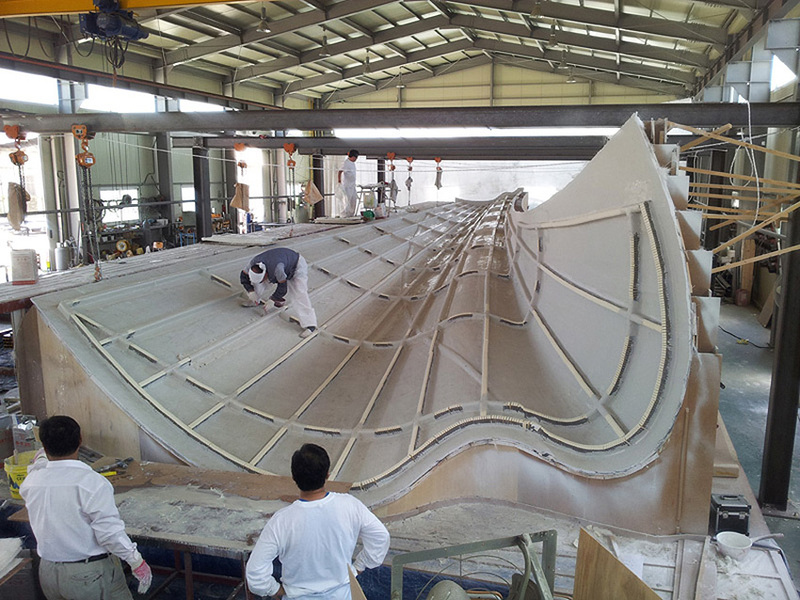 These panels are made up of resin and fibreglass and represent toile fabric used in Dior designs. Architect Christian De Portamparc also explores the idea of light and lightness as intense and dappled shadows dance on the smooth rounded surfaces. 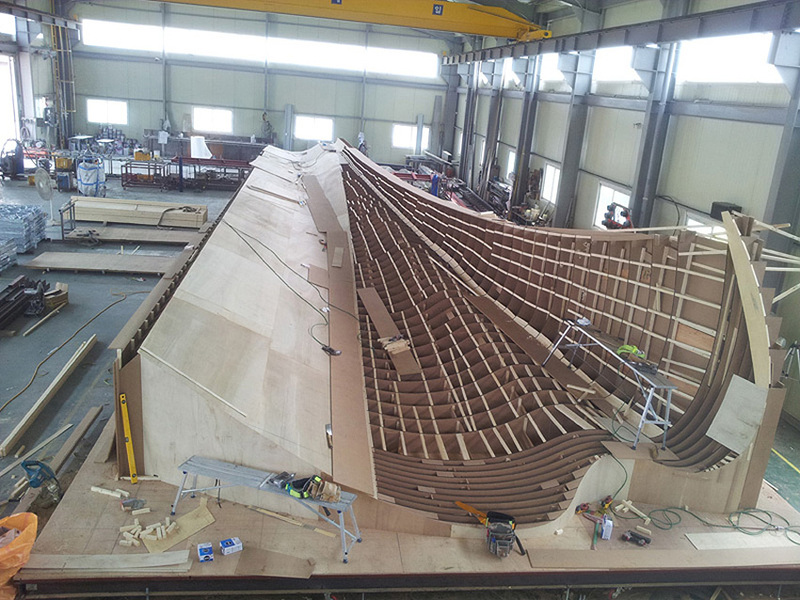 The curves and counter curves were constructed out of large moulds and woven together on site. 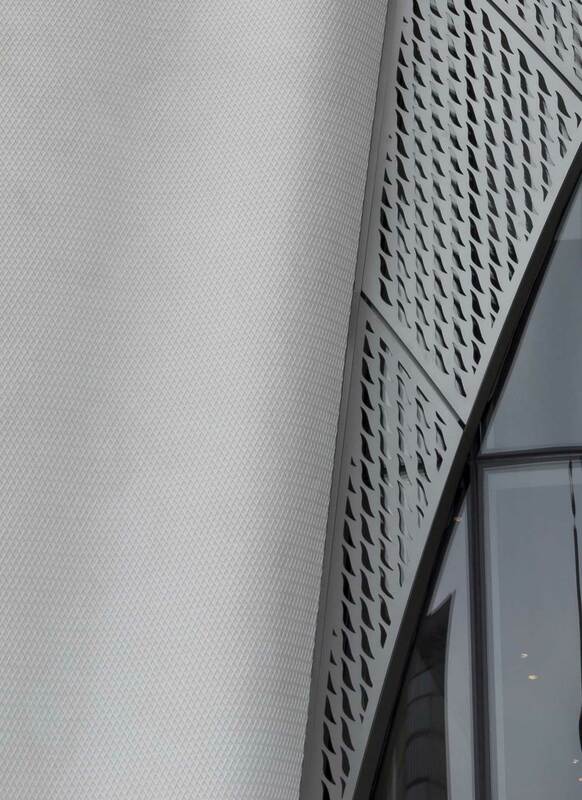 The entrance pulls away slightly to reveal a hint of overlapping perforated mesh. This secondary layer is suggestive of a cheeky undergarment making a titillating appearance. The masculine half is the solid rectangular box that recedes into the distance. 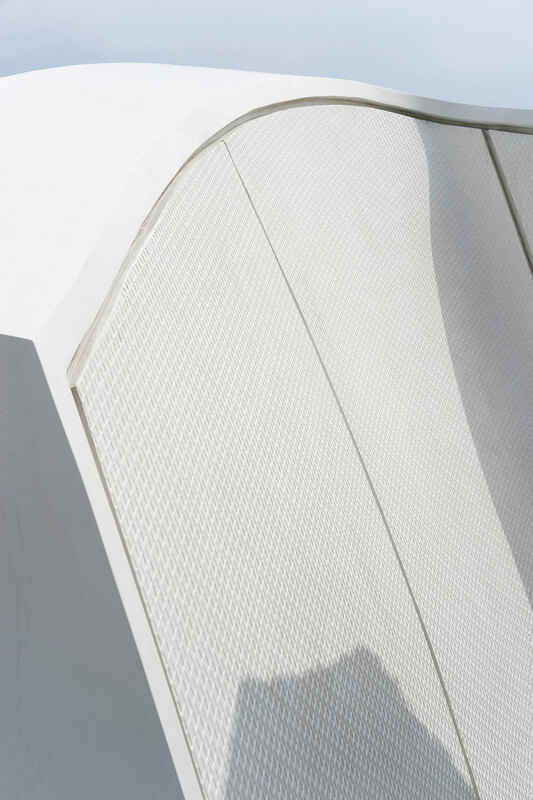 The male collection is housed within this geometrical form and the Dior cannage pattern is etched into its monochromatic surface. 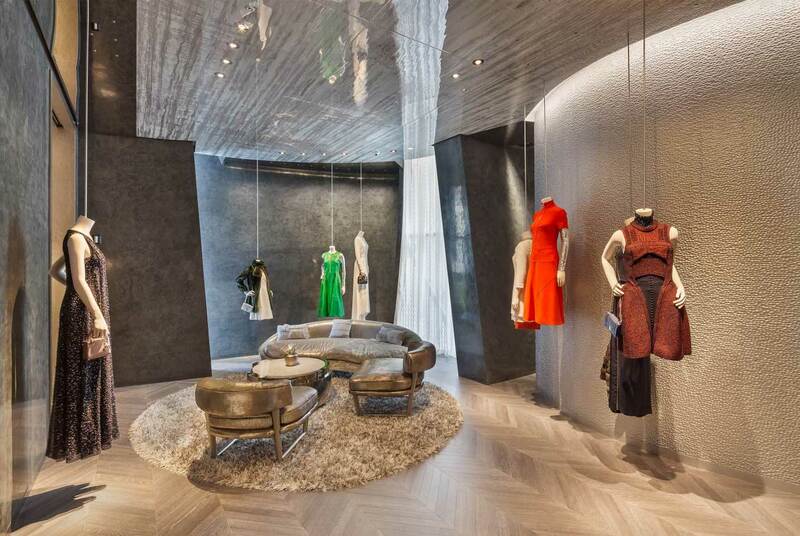 As you step into the glazed entrance of the boutique you are greeted with a glitzy interior by . 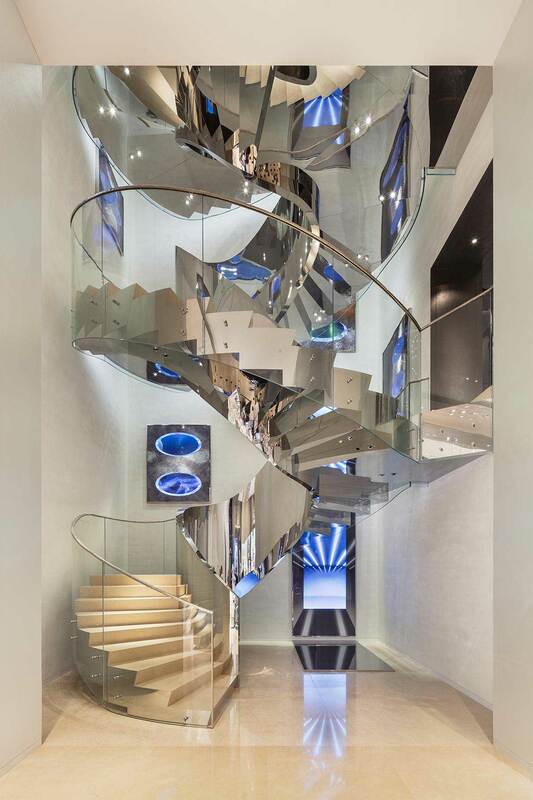 Here the extravagant adventure unfolds as a vast array of rooms, styles and materials bombard the senses. No really, I feel that dizziness that overcomes you when you walk through the perfume section of a department store. Some rooms incorporate elegant lines, muted hues and soft textures while others use reflective materials, austere tiling and metals to form modes of display. Carefully curated artworks by some of the world’s leading contemporary artists are on display throughout the boutique. 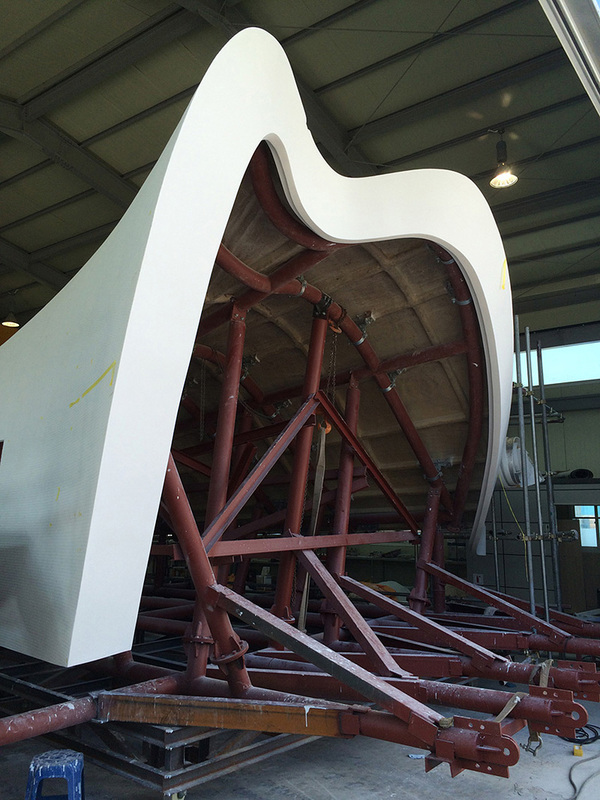 This includes a chandelier by prominent Korean artist , benches by French sculptor and furniture by artists and . 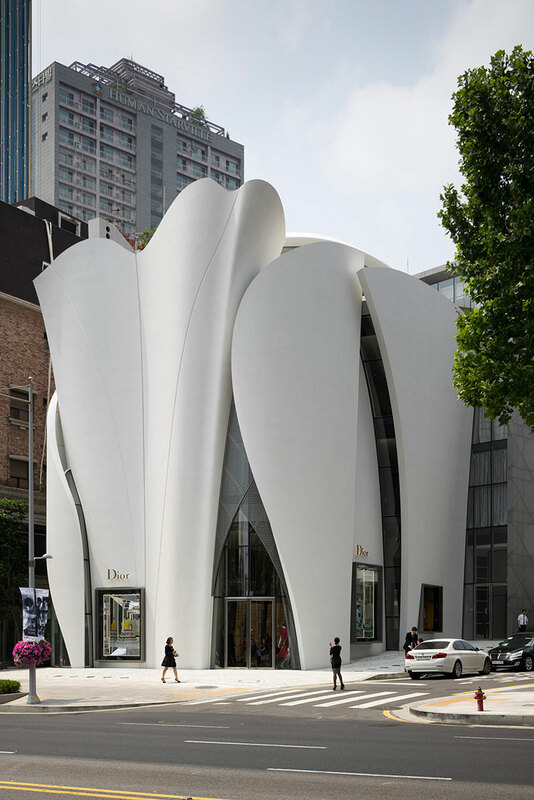 Dior makes a strong statement with this building. It rejects a subtle approach in favour of a soaring declaration. I mean we are talking Dior, darling! There’s a lot to take in with this shrine to high end shopping – it’s grandiose and ambitious but I admire the lavish approach. More posts about Christian Dior on Yellowtrace. 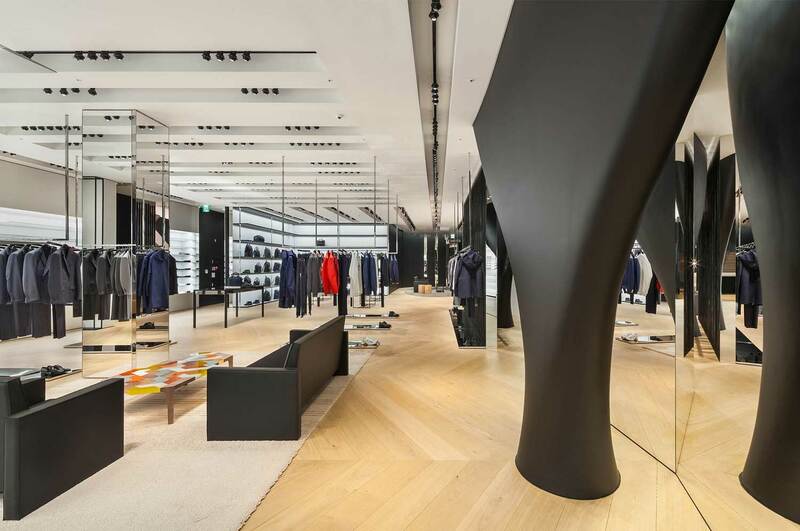 Yellow Earth Flagship Store in Melbourne by Tandem Design Studio.